I went to Mai sushi with a few colleagues last night, with high expectations (having been educated in good sushi by a friend who lived and worked in japan). All I can say is that my expectations were exceeded in every way. The restaurant is easy to find, just a few minutes walk from Euston or Kings Cross stations, it has a warm and inviting, if slightly basic decor and a very friendly welcome from the waitress/owner. To summarise, if you love sushi - you'll be hard pressed to find better, for a better price, with a better service. I'm not normally one to give maximum marks to anything for anything, but well done Mai Sushi the 5 star is well earned! Just had dinner here tonight with a couple of friends. Quite a pleasant experience with a very friendly and attentive waitress. The food was quite excellent - for desert we highly recommend the Tempura ice cream. From my dinner experience with Mai Sushi after and I would recommend to my friends. The sushi was fresh and delicious which I was very happy with. The restaurant setting was relaxing and a friendly service was the bonus. Mai Sushi is situated in a calm, smart and quiet Somers town, Euston. Family runs and conversation levels never exceed a low hum. Fantastic restaurant and food is exceptional good especially sashimi and sushi set. Highliy recommended. I had lunch at Mai Sushi after reading the reviews on this site and I was NOT disappointed. The food was terrific and the service was very friendly. My friend and I started with miso soup and a shared mixed tempura (4 prawn, 4 veg - very easy to share). The soup was perfect and the tempura was light and flaky and cooked just right. The presentation was lovely as well, with the tempura sitting on top of a very decorative tempura noodle fan. We both had sushi for a main and everything was fresh and flavourful. My friend had green tea ice cream to finish, which she said was delicious. We also ordered green tea when we first arrived, and the pot was continuously refilled throughout the meal for no extra charge. I highly recommend this restaurant. No complaints or constructive criticisms to offer. I found Mai Sushi's restaurant are relaxing and friendly service which was great experience that I would recommend to you. The sushi and sasimi was tasty and delicious and also the foods there was vaule for money. It's between Euston and King Cross station and within spitting distance to the hotel that I stayed which was easy to find. I went there on the 12th of Jan at the behest of a friend who well knows my penchant for quality sushi, not the "Yo! Sushi" genre. A great and interesting menu - I'd not seen some of the combinations before but they worked very well indeed, the yellow tail and jalapeno sashimi, for example was addictive - couldn't get enough! That and the soft shelled crab maki were my favorites for the evening out of the excellent dishes I got through. The food was all fantastic, the fish was very fresh and of high quality and all the food was prepared quickly and presented to a very high standard. I would particularly recommend the Tuna Sashimi which was fantastic! The portions are generous, and reasonably priced. Before we knew it, my companion and I were stuffed to the rafters and having to admit defeat before we exploded! I read with amusement that an average spend is under £10 per person. I suppose it is possible if you have super human will power, but honestly, the food was so more-ish i couldn't stop ordering again and again! I will definately be returning as soon as I can work out how to curb my ordering enthusiasm! I first went to that restaurant on the second day of opening. It was Bright, Relaxing and Elegant atmosphere where all you wanted to do is Eat, EAt and EAT!!! First impression was that the service was excellent, a pretty lady with a beaming smile would happily open a packet of chopsticks for you and show you how to use them if you haven’t experience and handle a pair of chopstick before. There are over 100 of dishes to choose from and every one of them is unique. However, I definitely recommend you to try the Scallops new style and Crunchy Tuna cut roll. Also their salads are fantastically tasty. This restaurant is one of the best so far I been too and the price is reasonably cheap in comparison to other Japanese restaurant in the city or the West end. I've been to Mai Sushi a few times now - the food is of a high standard, well detailed and of course very tasty! Located close to Euston station, Mai Sushi is easy to find and not in a busy street. The decor is modest and simple, good for a no-fuss lunch. Well priced (we had 4-5 dishes between 2 and it came out £15 each). I recommend the crunchy tuna sushi roll... best sushi I've had since being in the UK! And the green tea is very fragrant - it's not that cheap stuff you buy at your local. What as experience on Sushi at Euston and I would like to share it other traveller. After a long tour in Central London coming back to my Hotel in Euston that evening. The hotel has a leaftet of a number of restaurant around the area but I pick up a japanese menu and it was 10 minute walk from my hotel. The restaurant that I went was called "Mai Sushi" and it was a nice relaxing and a friendly service. The sushi and sasimi was tasty and I was happy with the price. I would recommend to any of traveller who stay near to Euston and the next trip to London, I will be back there again. Mai Sushi is a small family restaurant in a quiet, but central location. The place itself has a very basic décor, more like a cafe than a restaurant really but it's plain, clean and unfussy which is no bad thing really. The staff are really very lovely, they seem genuinely friendly and are both helpful and knowledgeable. They've recently started putting a few tables outside on the pavement under their awning which we really enjoyed. The street is wide and there seems to be a lot of interesting stuff going on. 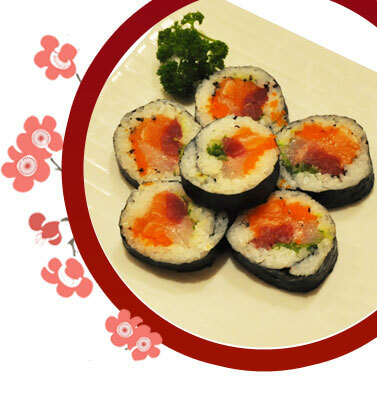 Food wise, the sushi is excellent, there's a wide range of to choose from and it's made fresh and delicious. One slight downside is that the non-sushi dishes I've had there are really quite awful, the noodles are bland and tasteless for example but if you stick to the sushi and it is, of course, a sushi restaurant you'll be more than fine. Particularly good are the bento boxes where you get a huge amount of different types of fish for a very reasonable £12. My partner was really knocked out by the soft shell crab. That brings me to one of the most excellent things about Mai Sushi - the price. It really is very reasonable, particularly for the area and the quality of the cooking. If you're stuck at Kings Cross or Euston and don't fancy any of the over priced corparate fare on offer, just pop a couple of street over to Mai Sushhi, it's a really lovely, simple and unpretentious place. The place is set in modest surroundings and does not have much visual appeal. Do not be fooled by that, this is the best sushi-sashimi- teryaki-tempura-yakitori place around, unlike those fantasist sushi places in the area. If they manage to add shabu-shabu, suki-yaki, and other 'upper-end' rounds to the menu, their chefs will end up with a really nice Japanese restaurant. Exceptionally good value for money. What a great place. You must try it, the most deliciously fresh food I've had for ages. Friendly and attentive staff who really know how to look after you. The Tuna sashimi was "to die for" and the sushi sets were great. Don't be put off by the decor which is uninteresting; the food, service and warm atmosphere means you won't notice. I couldn't believe the prices either - you really get value for money here. Keep up the good work.